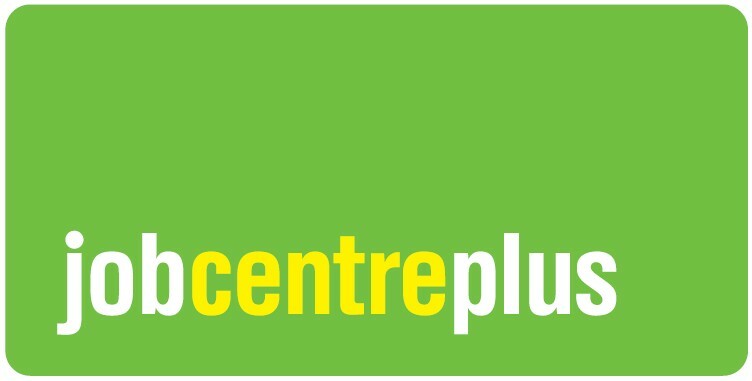 Trust Links is a local charity that aims to support people and build communities. 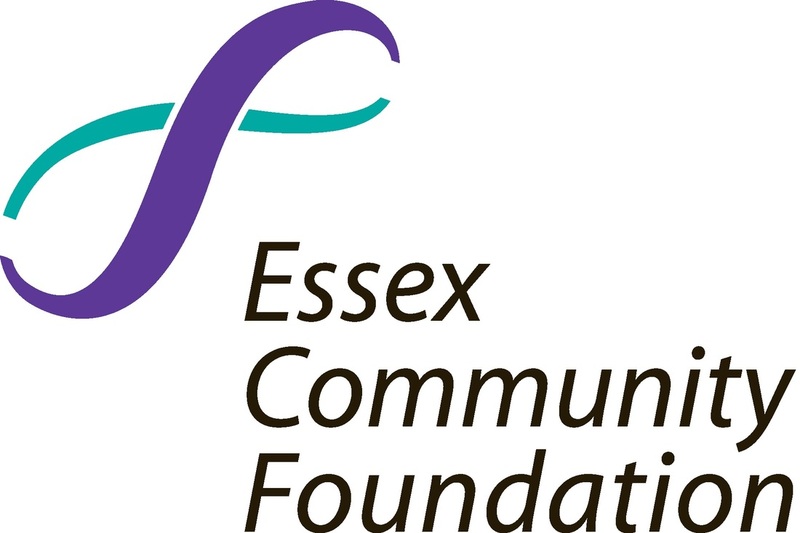 Please explore our website and learn more about how a derelict piece of land in Southend-on-sea was transformed into a community garden and the services it now provides to the local population. We once again held the annual Potato Day and another very successful day it proved, helped by bright sunshine on a cool February day, raising over £300 for our charity. 250 people came on the day and purchased their seed potatoes, onion sets, jacket potatoes and homemade cakes. The children enjoyed visiting the chickens, potato printing and exploring the Growing Together garden. South East Essex Organic Gardeners organised the day in partnership with Trust Links. 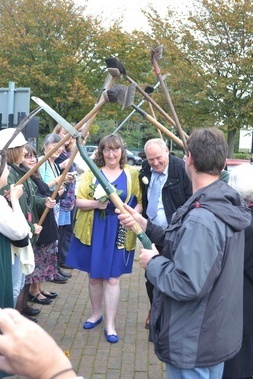 The first wassailing day to be held in South East Essex for many years was a great success as more than 200 people joined Trust Links, the Southend-based mental health charity to celebrate their Heritage Lottery Fund Sharing Heritage grant at St Laurence Orchard in Eastwoodbury Lane. Green fingered members at our garden in Westcliff have good cause to celebrate. They have successfully completed a qualification in Horticulture and the Mayor of Southend, councillor Chris Walker, visited the garden to present them with their certificates. Ten members of the Growing Together garden sites in Fairfax Drive and Shoeburyness undertook the year long course, in which a tutor from Southend Adult Community College worked with them at the garden on practical and written tasks. Having completed the course, the members have been awarded a Level 1 diploma in Horticulture. “The members who completed the course have all experienced mental health problems so achieving the qualification is a very positive step for them. This qualification has not only helped with horticultural knowledge, but has built the confidence and self esteem of those that have completed it.” said Matt King, Chief Executive. Trust Links is offering another Level 1 Horticulture course at its Shoeburyness site in Elm Road during the course of 2015. The free course requires a commitment of two days a week, one day training and one day practical work in the garden. It begins after Easter. For more details, contact the Trust Links office on 01702 213134 or email office@trustlinks.org. Trust Links has reason to celebrate too as it has just been awarded a PQASSO Level 1 accreditation which is endorsed by the Charities Commission. The PQASSO quality mark is only awarded after rigorous external assessment. It indicates that an organisation is run as effectively and efficiently within its resources and has the best possible outcomes for staff and users. 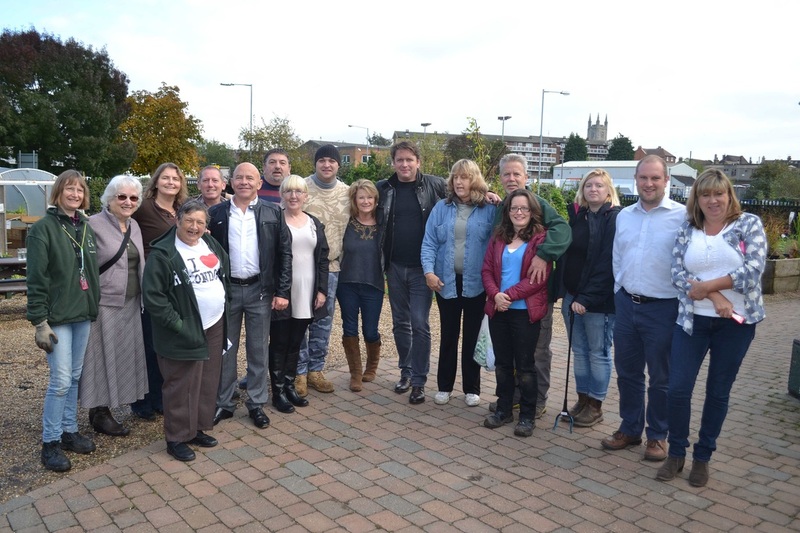 It was lights, camera, action recently at our Westcliff community garden when presenters James Martin and Dom Littlewood visited the site. The pair were there to record an episode of a brand new show for BBC One, called Operation Meet The Street. Southend born Dom Littlewood (Cowboy Builders & Don’t Get Done Get Dom) returned to his home town with James to see the ways in which local charities and groups can help reduce loneliness and isolation. A celebratory Afternoon Tea was held by Trust Links at their Growing Together garden on Fairfax Drive, bringing together all of the people that Dom and James met through the programme. Growing Together is an award winning community garden working with adults with mental health problems and learning disabilities, which improves quality of life, social inclusion, mental health and work prospects. Producers of the programme felt it was the ideal venue for the celebration event, as the project embodies the TV programme’s aims of bringing people together to build a stronger community. During the day Dom and James met the members, staff and volunteers at Growing Together to hear their stories and find out how their lives had been improved by their time at the project. Matt King, Chief Executive of Trust Links said: “It was great to have James Martin, Dom Littlewood and the film crew with us for the day at Growing Together. They enjoyed looking around the garden and the Afternoon Tea was wonderful, thanks to the hard work of our members and volunteers. James even gave us cooking tips on the vegetables we grow at the community garden and our members enjoyed posing for photos with Dom. We look forward to watching the programme on BBC One.” In the brand new series, Operation Meet The Street, James Martin spearheads a nationwide campaign designed to bring communities together and tackle the growing issue of loneliness in the UK. James invites five celebrities to go back to the street they grew up on to find out who lives there now and help them set up a real social network. As well as Dom Littlewood in Southend, other celebrities were Alex Jones (The One Show) Dave Myers (Hairy Bikers), Helen Skelton (Holiday Hit Squad, Blue Peter) and Denise Lewis OBE (Olympic Gold medallist). Operation Meet The Streets began on BBC One on Monday 15th December at 9:15am and the Growing Together garden was screened on Wednesday 17th December. Growing Together was full of Christmas cheer on Saturday 17th November at our Christmas Open Day. More than 150 people came to the gardens and enjoyed meeting Father Christmas and Mother Christmas, joining in with carols and buying crafts, vegetables and honey. Volunteers helped serve homemade mince pies, turkey rolls and vegetable soup. The sun came out and visitors enjoyed looking around the garden and meeting the chickens. The Open Day made more than £750, which is a record for a Growing Together event. 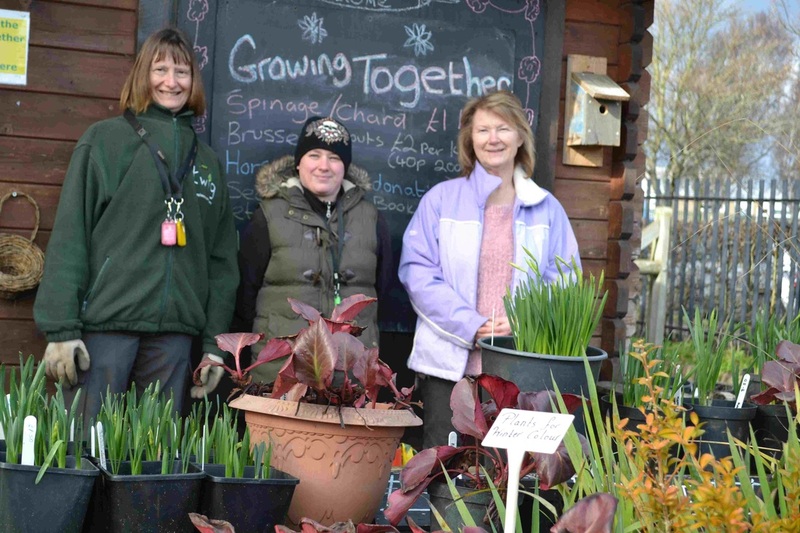 Growing Together provides positive activities for adults with mental health problems and learning disabilities. Christmas is a difficult time for many people – Growing Together brings people together in a supportive and nurturing environment. Members have enjoyed making wreaths and decorating the site. Love has blossomed amongst the trees and vegetables at Trust Links Growing Together garden in Westcliff. Members Tracy Showell and Steve Turner tied the knot on Thursday 23rd October after meeting at the garden five years ago. Following a ceremony at the Civic Centre in Southend, they celebrated their marriage in the garden with other members and volunteers of the charity. This is the first wedding amongst its members and so it was only fitting that the venue for the reception was the very garden where Tracy and Steve met. Fellow members organised the catering and arranged the flowers for the happy couple who now look forward to growing together. 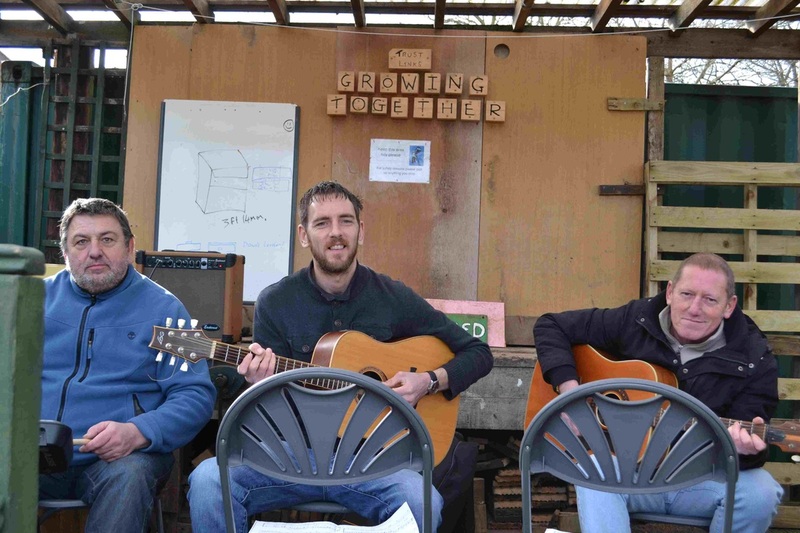 The sun was shining on Saturday 22nd February as the South East Essex Organic Gardeners (SEEOG) and Trust Links teamed up for a very successful seed potato day. 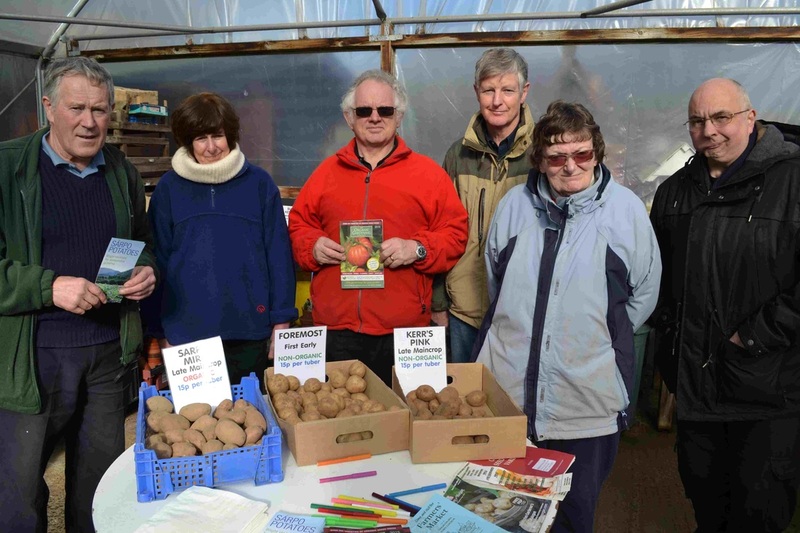 Allotment holders and garden enthusiasts came to Growing Together in Westcliff to purchase their seed potatoes and onion sets. They also enjoyed the lunches, raffle and potato printing. 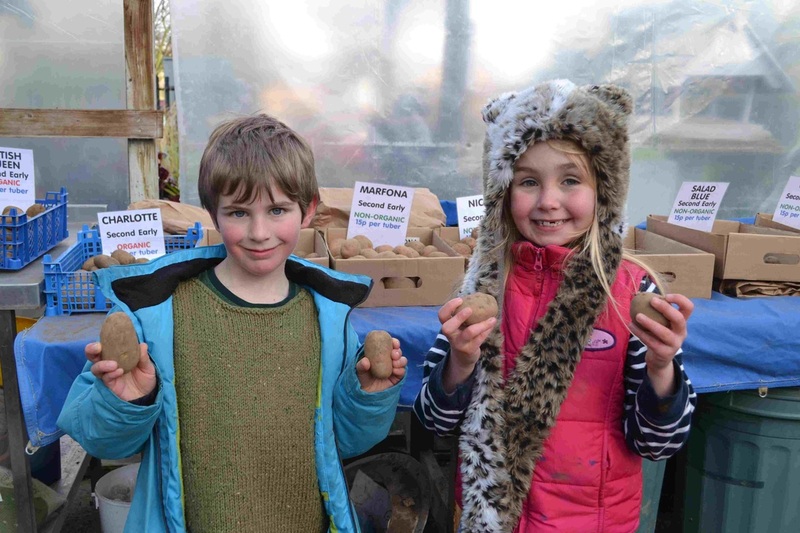 Trust Links made more than £300 and SEEOG sold more than £500 worth of seed potatoes. There are still some seed potatoes for sale at Growing Together on the corner of Fairfax Drive and Prittlewell Chase, which is open Mondays to Fridays at 9 am to 4 pm. Learn gardening skills, help us transform a vacant allotment site into a beautiful community garden, enjoy growing things together! TRUST LINKS WIN BUSINESS AWARD - AGAIN ! We have seen the growth and development of Shoeburyness over recent weeks. A company has donated a shipping container, so we can store tools and machinery securely. The two medium sized polytunnels have been enjoyed by butterflies and foxes! A huge pond has been dug, exposing builder’s sand in the base and providing material for landscaping. Johnson Control (an American company with a base in Basildon) have funded and built pergolas around the circular path that was constructed by the Princes Trust group earlier in the Summer. 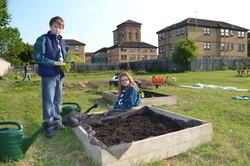 RBS started a raised bed herb garden, which was completed by the group from Johnson Control. Many children and families enjoyed a programme on Fridays over the school summer holiday, having a go at den building, planting and harvesting vegetables and a range of creative activities – more than 60 attended in total. They particularly enjoyed the bouncy castles at the beginning and end of the programme. We have an excellent core group of members and volunteers attending on Tuesdays and two school groups on Fridays from Shoeburyness High School. If you know anybody that would benefit, do put them in touch so that we can potentially open more often! Opening hours of gardens and sales are Monday to Friday 9am to 4pm. Please come and say hello and support us by making a purchase!